Continuing up the Valley we came to the Larkmead Lane Bridge (21C0061) across the Napa River. 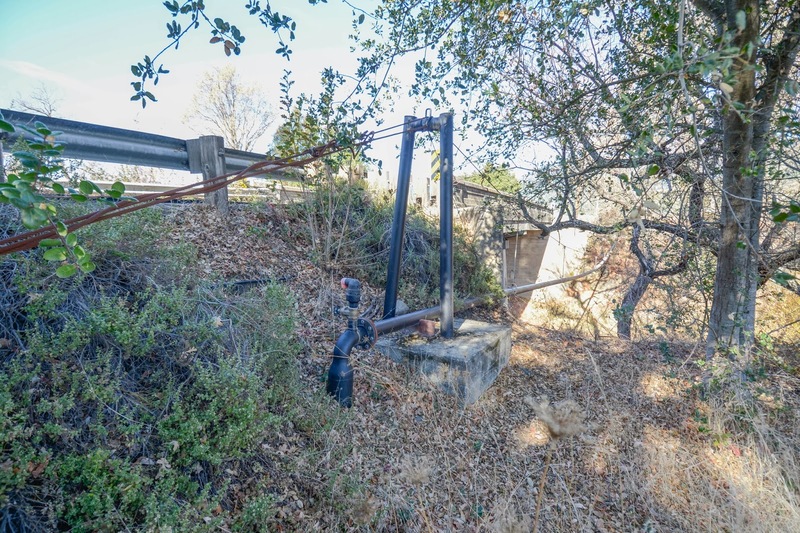 This two span 'T' girder bridge has a decorative pier wall with a diaphragm that descends slightly below the girders. The bridge was built in 1926 and it's composed of two 42 ft long spans and a 20 ft wide deck. Perhaps the fad for stone masonry arch bridges had diminished by the 1920s or maybe they just wanted a bridge with more headroom. An interesting suspension bridge sits next to the 'T' girder bridge complete with 'mini' towers. I'm surprised they just didn't put this pipe in the roadway bridge instead of building a separate bridge. 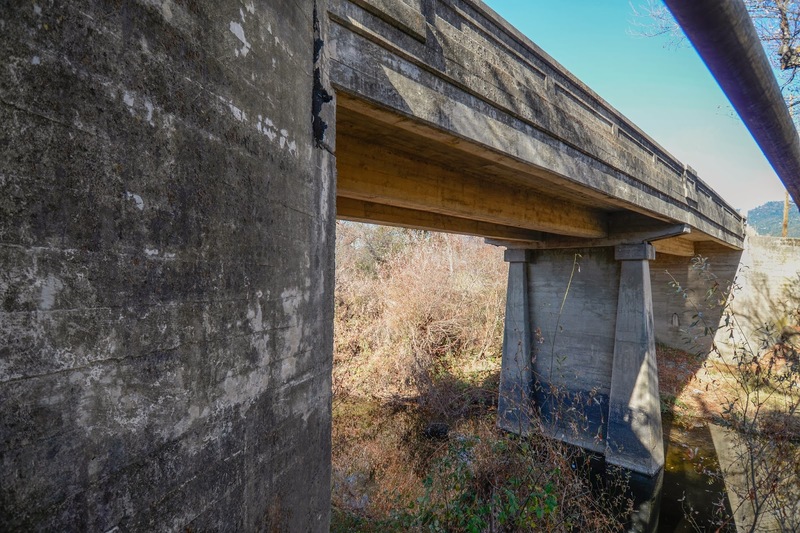 There's apparently a two span stone masonry arch bridge on Larkmead Lane over Dutch Henry Creek that I missed, but fortunately Craig Philpott took some photos of it for the Bridgehunter Website. 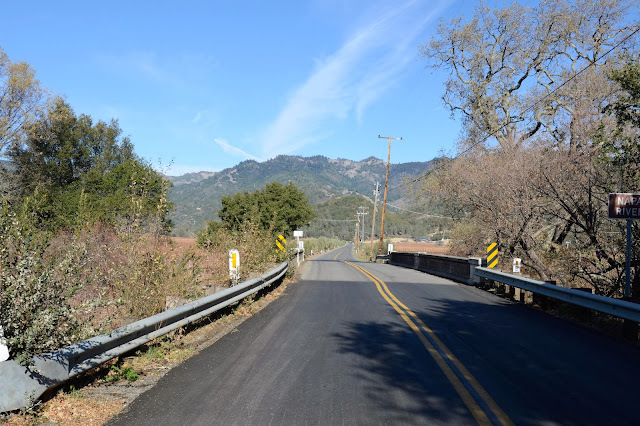 Napa County, California Bridges: Larkmead Lane across the Napa River by Mark Yashinsky is licensed under a Creative Commons Attribution-NonCommercial-NoDerivatives 4.0 International License.